NSF funds a large number of research opportunities for undergraduate students through its Research Experiences for Undergraduates (REU) Sites Program. The REU program allows for active research participation by undergraduate students in any of the areas of research funded by the National Science Foundation. Each student is associated with a specific research project, where he/she works closely with the faculty and other researchers. So if you are an undergraduate student interested in gaining meaningful research experience, consider applying for a summer REU opportunity. In addition to the REU program, students also have the opportunity to gain research experience through the Partnerships for Undergraduate Research (SPUR) Fellowship. SPUR Fellowships are sponsored by SEEDS, a program of the Ecological Society of America, with the goal of broadening participation in ecology. The award supports the undergraduate student in designing and conducting an ecology research project of interest. SEEDS has established partnerships with field stations and mentors to offer exciting summer opportunities that will be tailored to meet student interests, career objectives, and growth as a scientist. For most opportunities, no prior research experience is necessary. Below is a list of summer research opportunities associated with the Long Term Ecological Research (LTER) Network. During the Baltimore Ecosystems Study summer experience, students will gain knowledge, skills, and appreciation for both ecological scholarship and translational ecology, and develop identities as scholars and translators of ecology. At Hubbard Brook, students will work with diverse research teams, and develop and conduct an independent research project. The Harvard Forest Summer Research Program in Ecology is an opportunity for students to participate in mentored, paid, independent research focusing on the effects of natural and human disturbances on forest ecosystems, including global climate change, hurricanes, forest harvest, and pest and pathogens. Students will participate in oceanographic research related to the Northern Gulf of Alaska LTER site, which includes water column characterization measurements, zooplankton studies, particle dynamics studies, data analysis, and numerical oceanographic modeling. 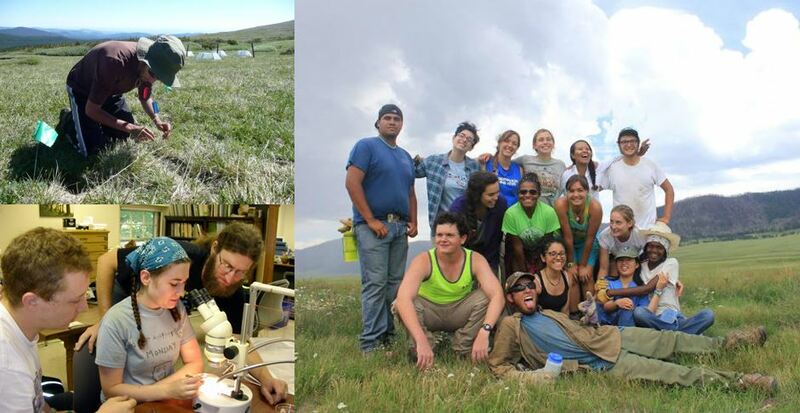 Undergraduate students will have an opportunity to conduct full time research in collaboration with faculty, postdocs, and graduate students on the NSF funded KBS REU Site ‘Ecological and Evolutionary Dynamics in Changing World’. Undergraduate students typically conduct a small independent project related to larger studies of lakes, streams, tundra, or land-water interactions. Participants are expected to collect and analyze data and to produce a poster describing their project near the end of the field season. This position involves participation in a large-scale, multi-disciplinary project examining the effects of sea-level, climate change, and changes in human land use of the marshes, estuaries and watersheds surrounding Plum Island Sound, Massachusetts. Students will work closely with mentors to develop and conduct independent projects within these research areas. Students will join a team of scientists studying the food web of the Northeast U.S. Shelf (NES) as part of Long-Term Ecological Research (LTER).